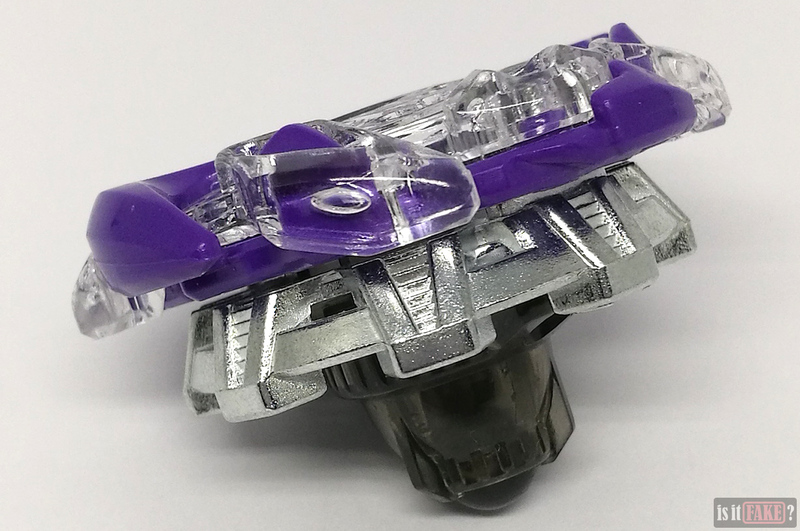 Leave it to Takara Tomy to modernize the spinning top and create a cool, flashy game revolving around one of the oldest and most iconic toys. 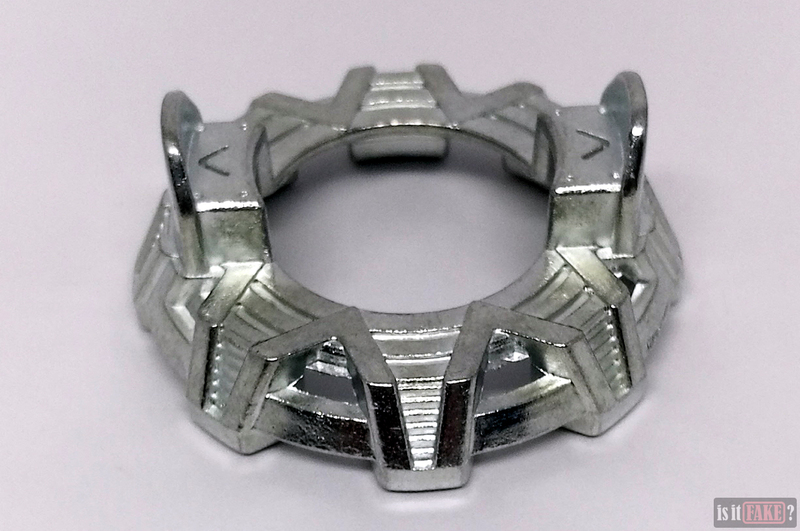 Beyblades aren’t your great-great-granddaddy’s tops; each boasts colorful, intricately designed components and, once assembled, can transform into miniature whirlwinds capable of destroying other Beyblades in its path. 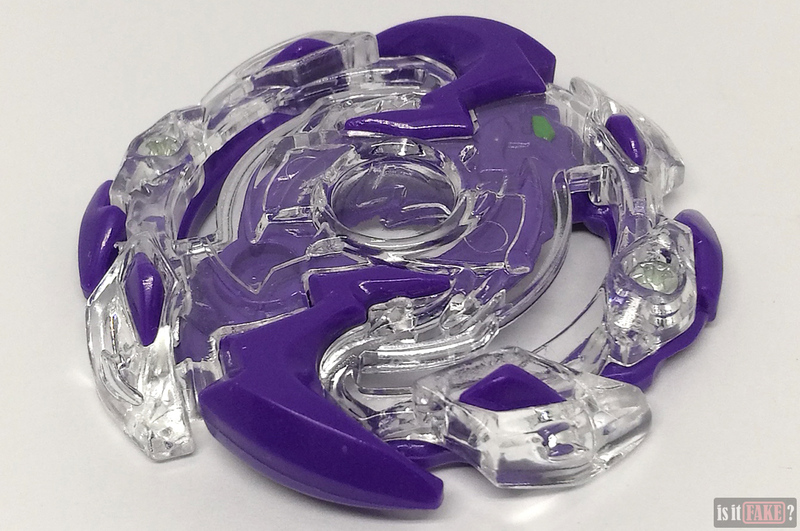 Various Beyblade models come with different characteristics, such as boosts in defense or offensive power. 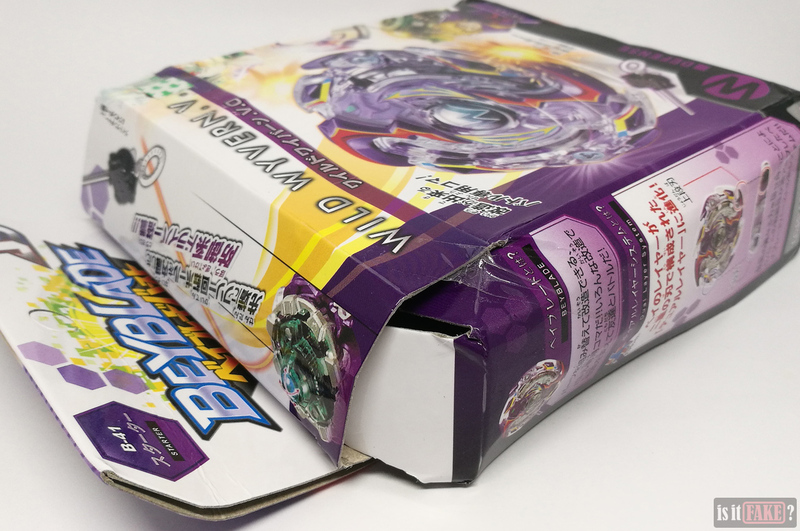 As such, every game of Beyblade isn’t as mindless as bashing together two things until they come apart; to win, you’ll have to take into consideration their weaknesses and use their strengths to your advantage. 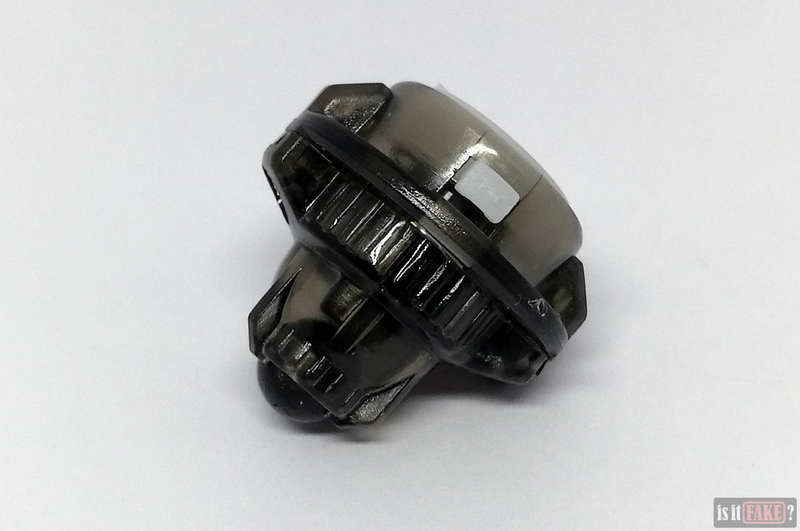 These days, fake Beyblades are everywhere, from eBay to Chinese e-commerce sites such as AliExpress. They’re manufactured by a variety of bootleg companies. 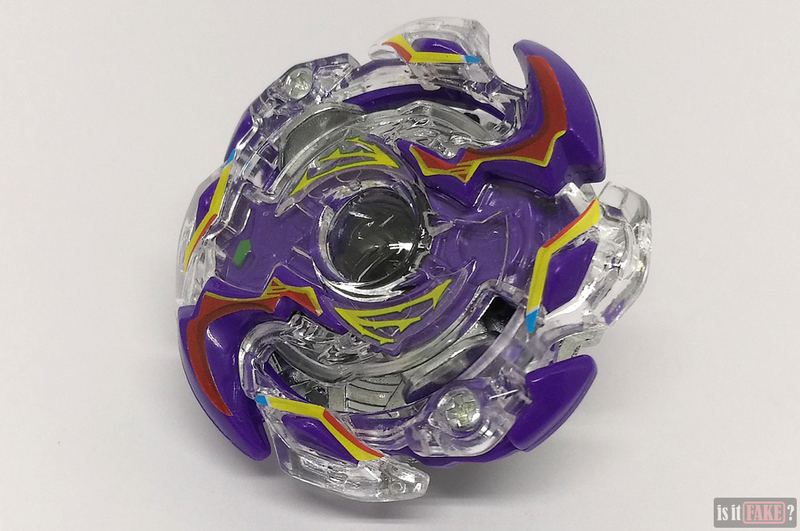 In the case of the Beyblade Burst B-41 Wild Wyvern V.O we purchased from AliExpress, its seller identifies its maker as ZXZ. 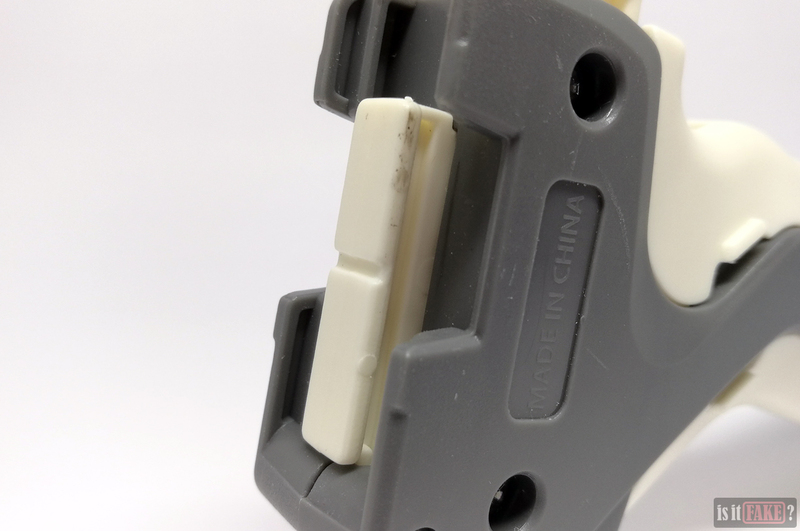 ZXZ is a commonly used name, but when it comes to toys, they’re an entity often associated with shady online stores, chief of them AliExpress. Beyond that, there’s not much else you can learn about ZXZ. 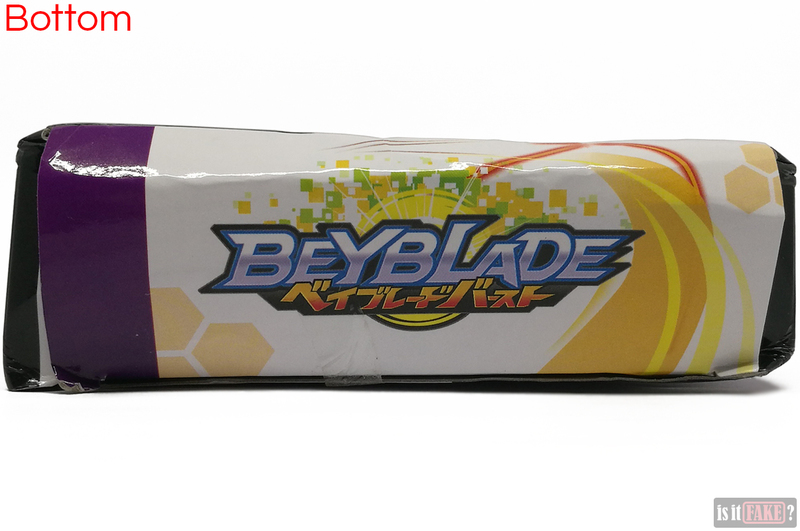 Strangely enough, you’ll find the logo of possibly another manufacturer on the fake Beyblade’s packaging. We’ll be discussing this below, but for now we can tell you there isn’t any information about this company on the internet, either. This is not unexpected; many companies engaged in illegal activities prefer keeping the world at large in the dark about who or what exactly they are, lest they catch the attention of authorities. In contrast, law-abiding companies readily provide information about themselves, so you know precisely whom you’re dealing with. 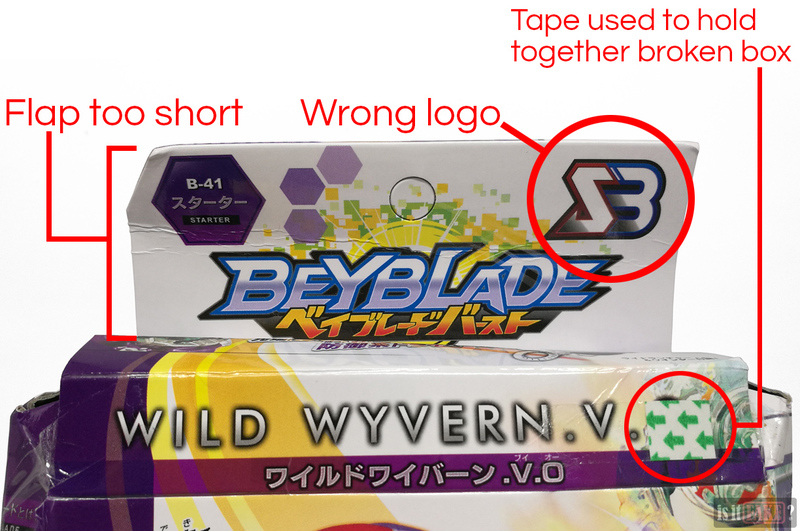 The fake Beyblade Burst B-41 Wild Wyvern V.O came in a horribly damaged box. Its condition is so bad its contents can literally fall out of it. 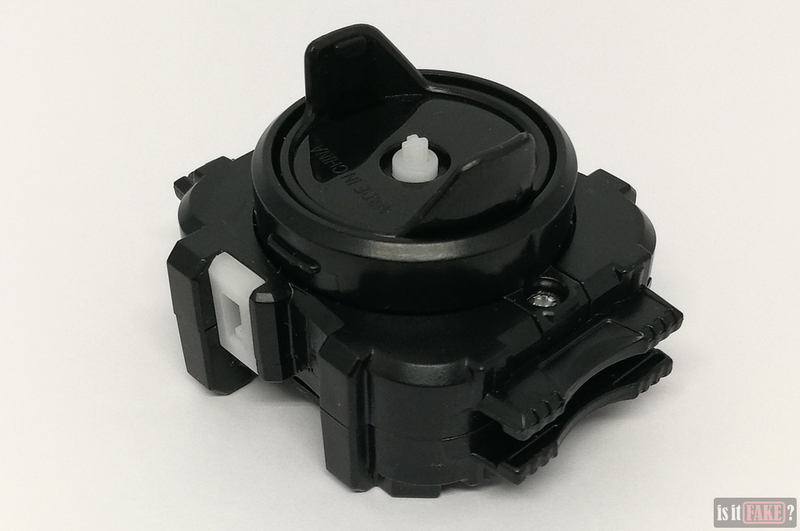 Check out the video and images below to see what we mean. 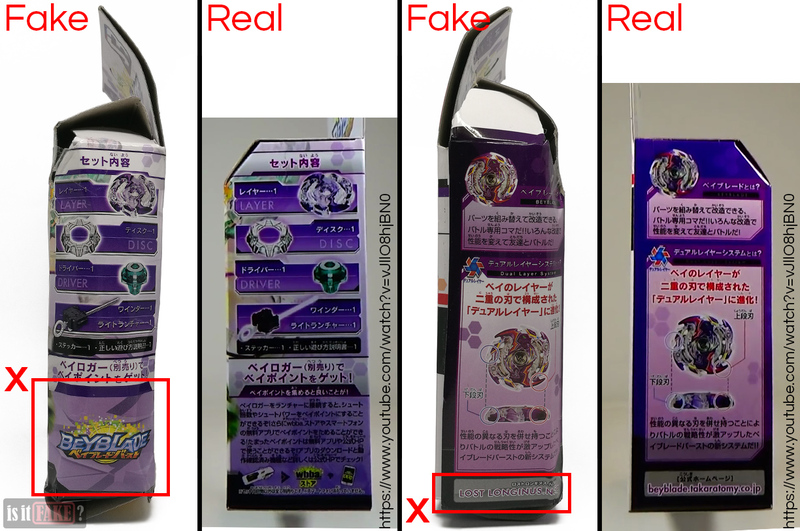 The box may appear to be identical to the packaging of the official Takara Tomy toy, but it’s actually not a 100% match. 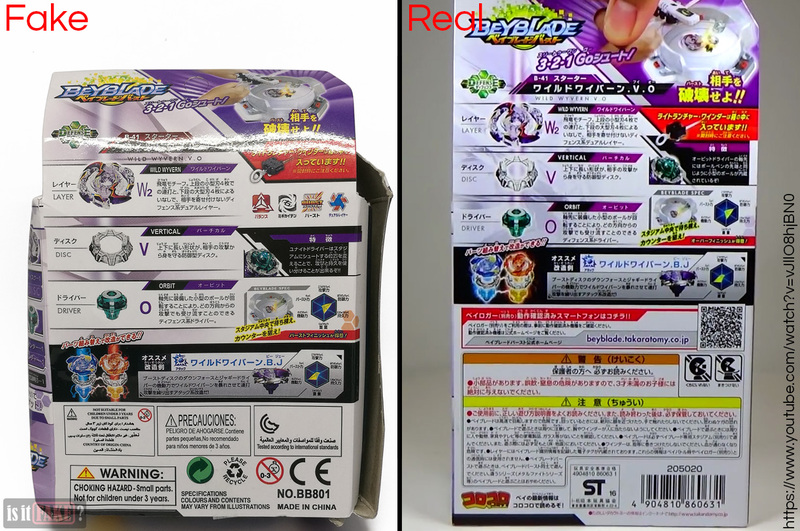 As you can see in the images below, there are numerous differences between the fake and official boxes. 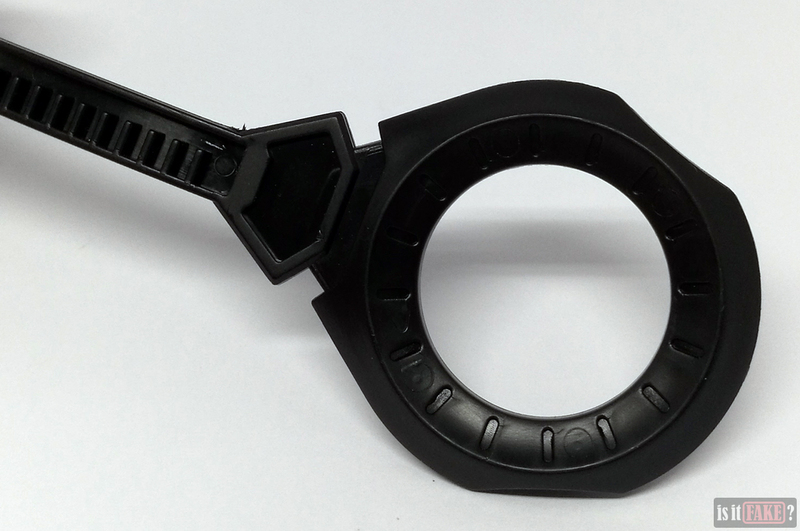 Two of the most noticeable inconsistencies, however, involve the upper flap, and the bottom area of the back. 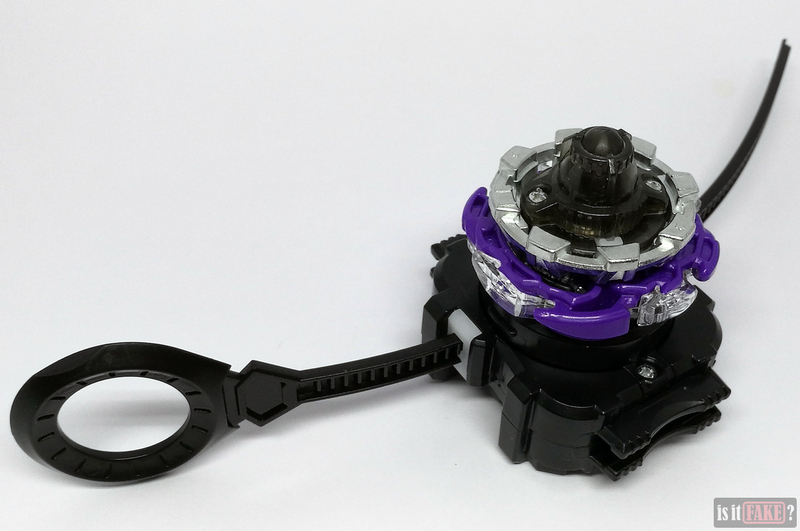 Takara Tomy’s original Beyblade Burst B-41 Wild Wyvern V.O has been scrutinized by several Beyblade reviewers on YouTube, such as this one and this one. 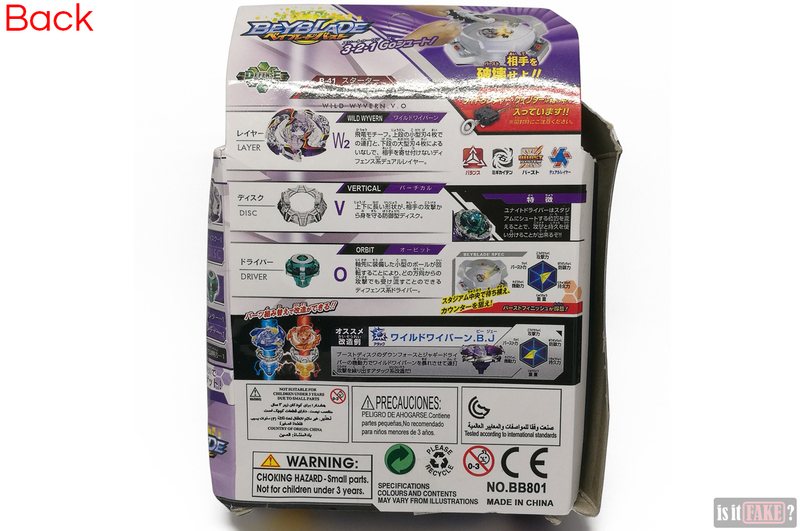 And as you can see from these reviews, the flap on the original’s box is much taller, and has the Takara Tomy logo, along with four other symbols, in the upper right corner of the front side. 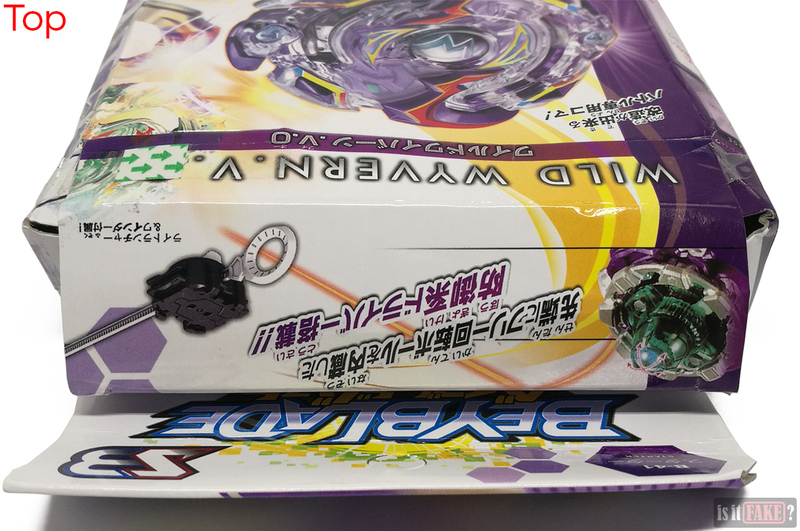 Instead of featuring the appropriate logos, the front side of the fake box’s flap says “SB” in the upper right corner. 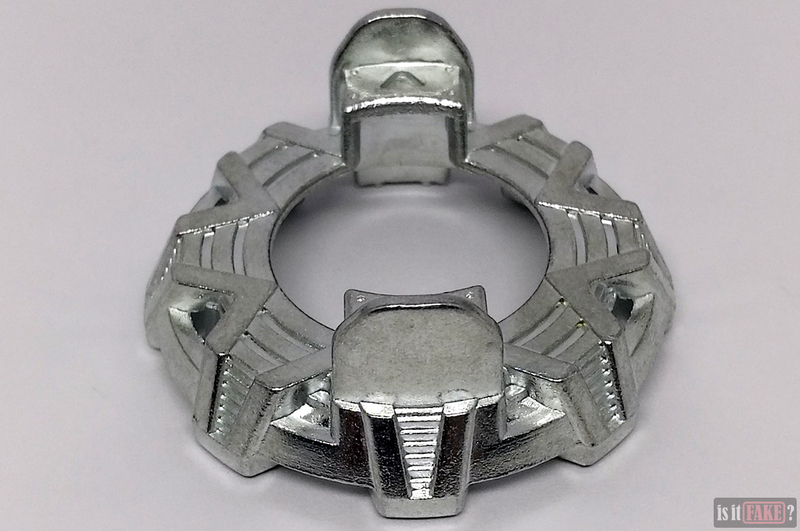 This is most likely the logo of the bootlegger who manufactured this toy. How they’re related to ZXZ is anyone’s guess, but it’s possible they’re one and the same, or are working together. Alternatively, ZXZ could be selling SB’s bootleg without SB’s knowledge. Bootlegception! 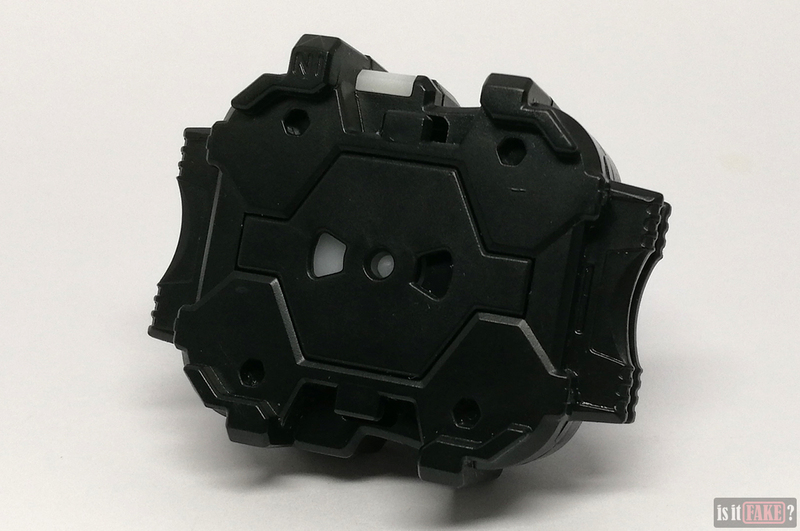 Other counterfeit Beyblade “brands” include Rapidity, Hongyi, MDX, and GG. 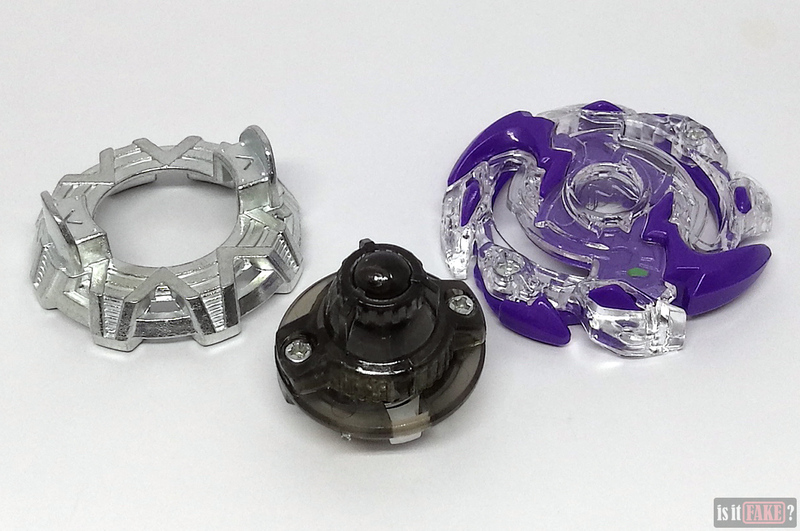 So, to make sure the Beyblade you’re buying is legit, look for the logos of official manufacturers Takara Tomy (the original Japanese maker of these toys), Hasbro (American), or Sonokong (South Korean). 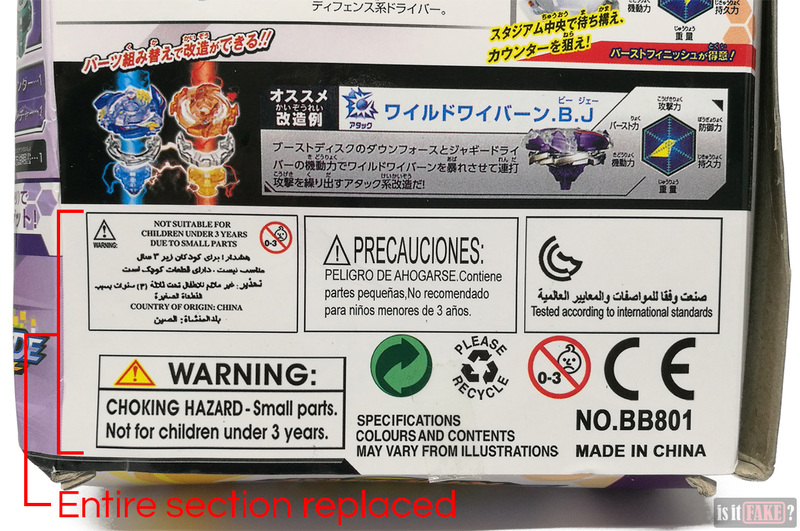 The bottom area of the fake box’s back side is also missing vital information (written in Japanese) about Takara Tomy, as well as barcodes, the Toy Safety Standard symbol, warnings to parents about small parts, etc. In its place, we have boxes containing text in Arabic, Spanish, and English. 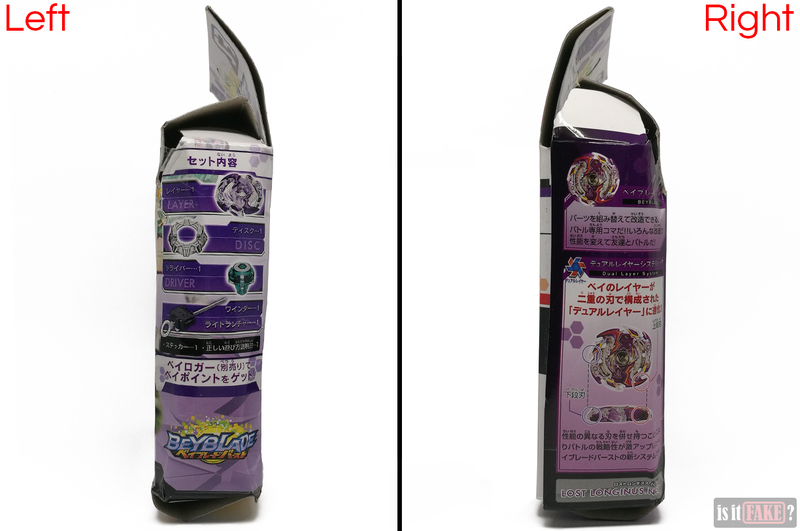 The colors on the fake box are also a tad darker and less sharp, resulting in deeper, more homogenous purples and some blurring. Now that we’ve gotten the box out of the way, let’s talk about the Wild Wyvern itself. 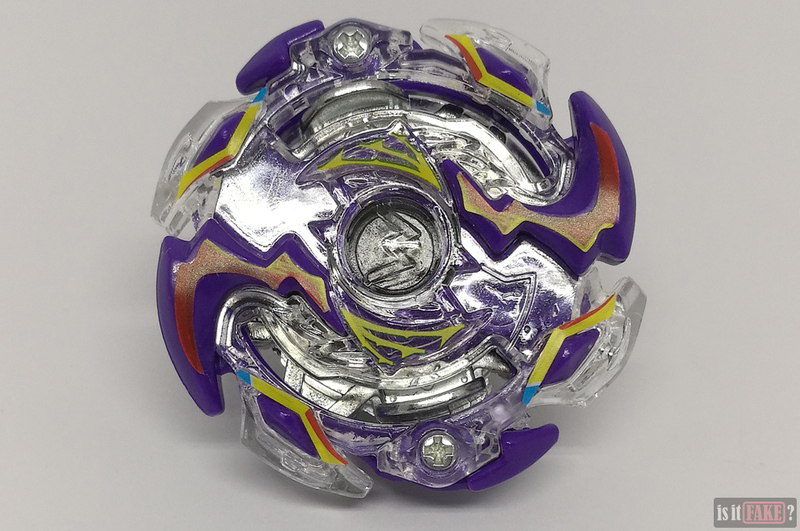 The Beyblade is a top with three components: the topmost Energy Layer, the metal Forge Disc, and the Performance Tip. As you saw in the video, these came wrapped in a ratty plastic packet (no, seriously, it looks like a rat nibbled on it). 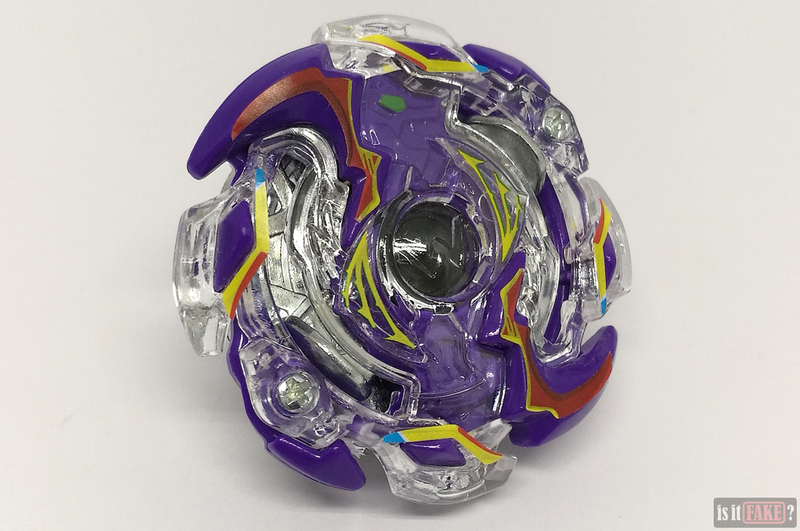 The Energy Layer’s purple is slightly darker than the official toy’s. The Wild Wyvern’s Forge Disc, which is called a Vertical, is much shinier than it should be. This is a common trait among fake Forge Discs. 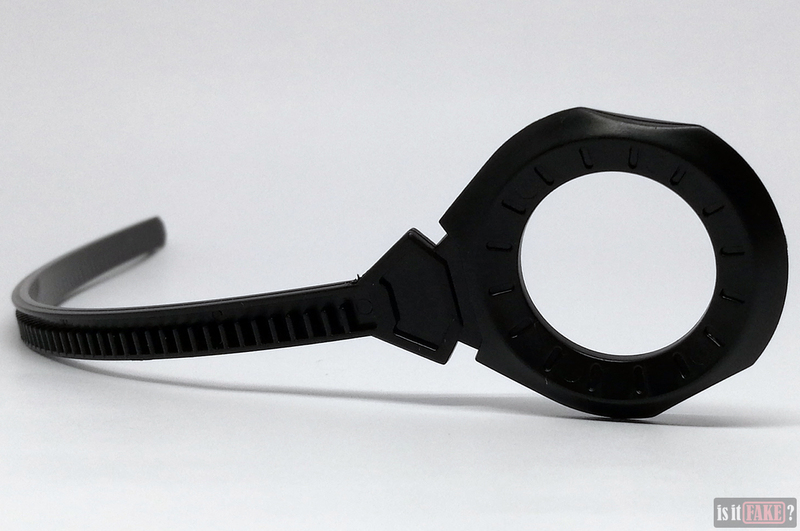 The Performance Tip, which is called an Orbital due to its ball tip, is black when it should be green. 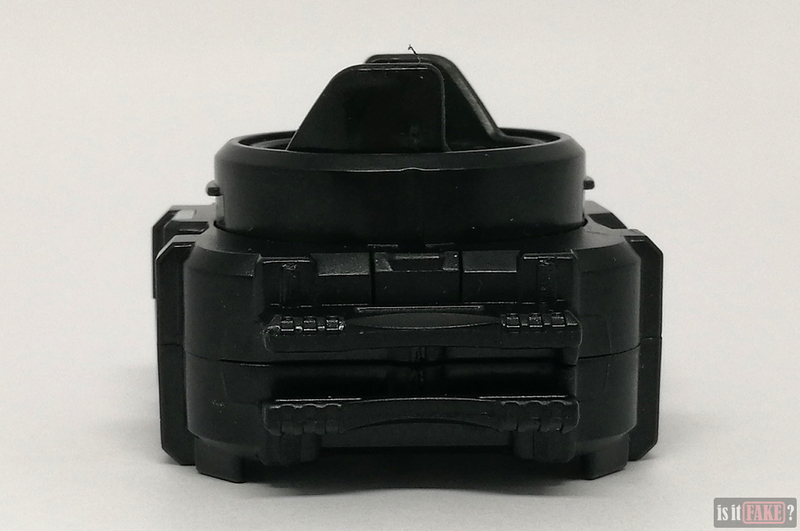 As the fake product doesn’t come with an instruction sheet, those new to the hobby will have a tough time putting these three components together. 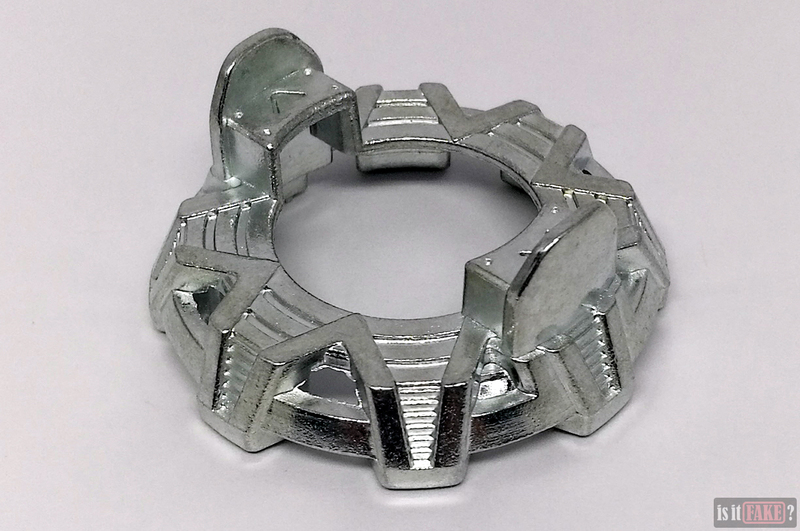 We had someone unfamiliar with Beyblade try to assemble the Wild Wyvern, and they ended up making numerous attempts – through frustrating trial and error – before getting things right. 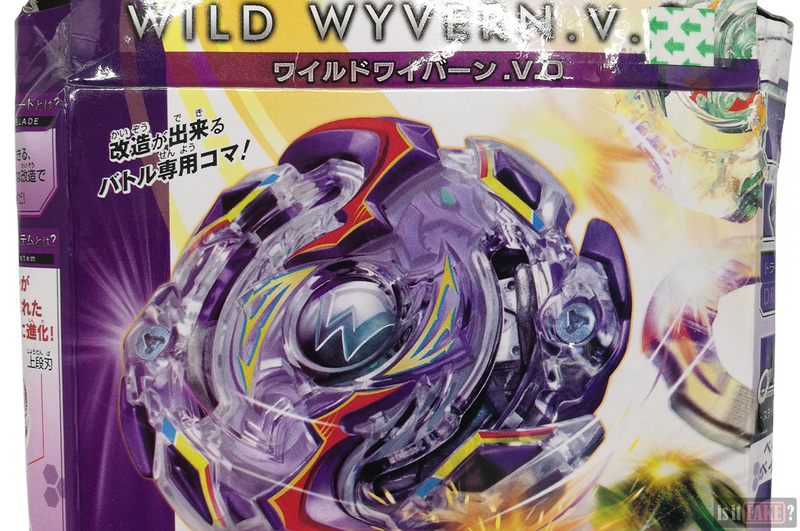 Like the real product, the bootleg includes stickers, which you can apply to the Wild Wyvern to complete its look. The fake stickers’ colors are darker and duller, though. 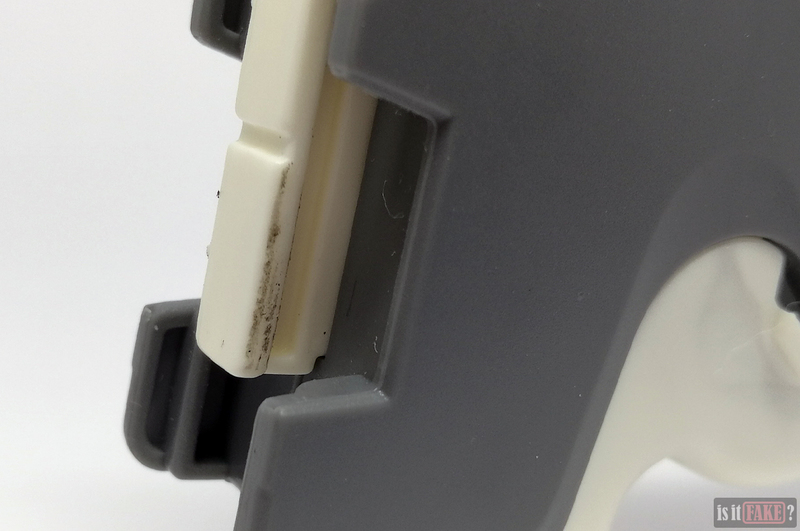 The adhesive is also rather weak; the corners of the stickers are already peeling off, and you can expect this to get worse over time. 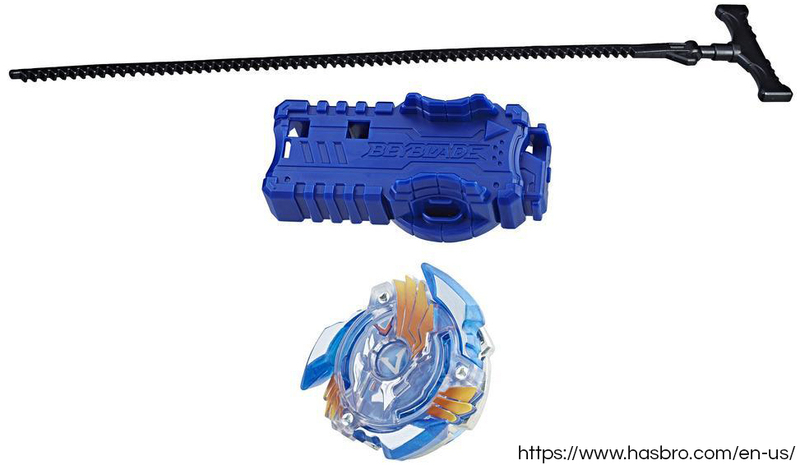 Like the official toy, the fake also includes a Beyblade Launcher and a Rip Cord. 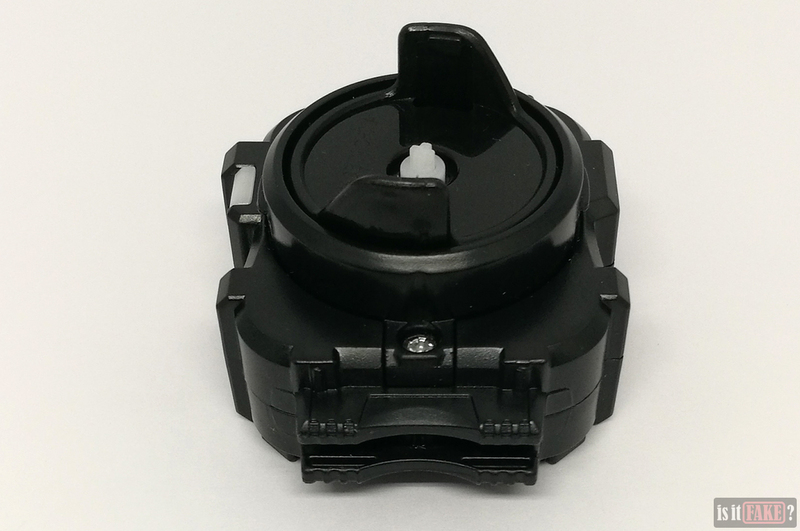 The fake Launcher is entirely black, and is empty of text except for the “MADE IN CHINA” on its rotator. 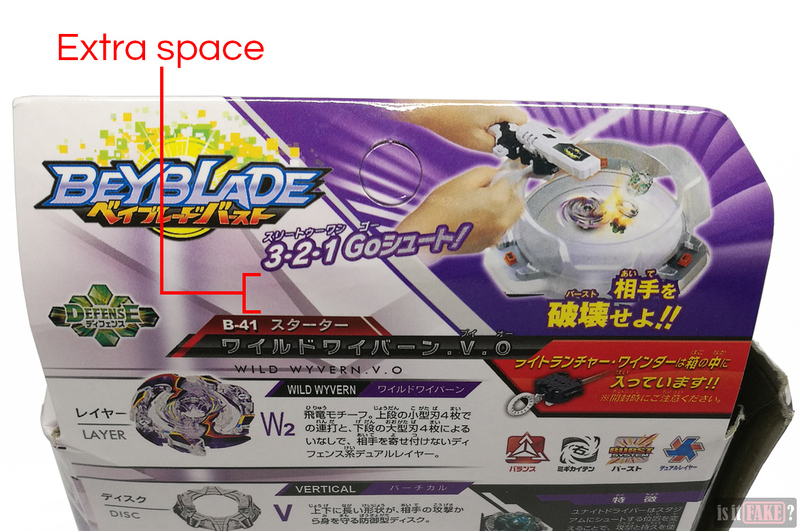 In contrast, the official Launcher has a white rotator which is devoid of text; the word “Beyblade” is carved twice into its base, instead. 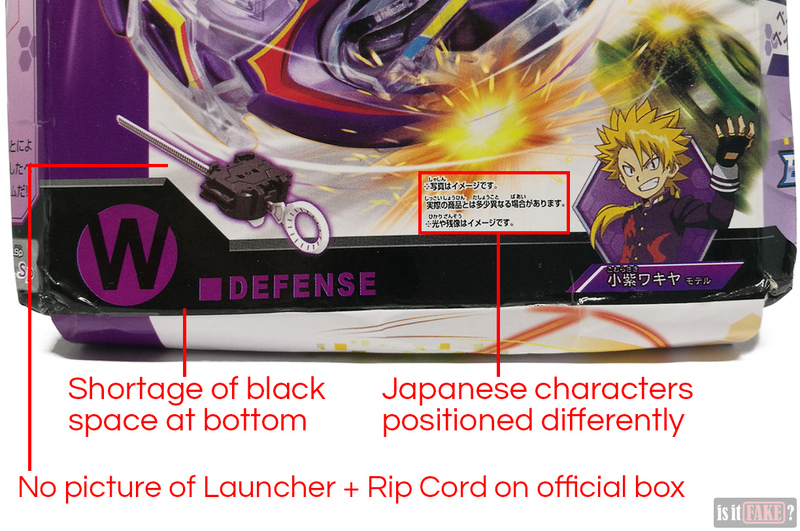 The fake Rip Cord is black and has no text, whereas the legit Rip Cord is white and says “Beyblade” on the handle. 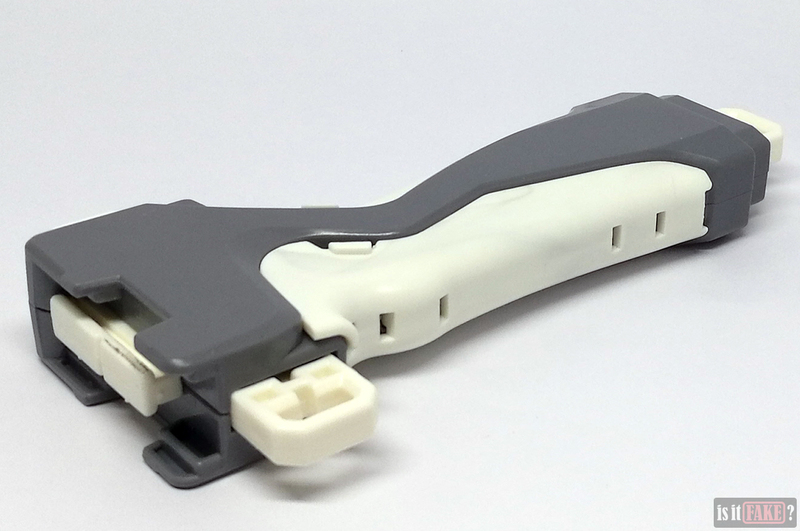 The bootleg comes with an additional item that is absent in the official Wild Wyvern pack: a grey and white Launcher Grip. This fake grip is filthy, however, and is riddled with ugly brown stains. 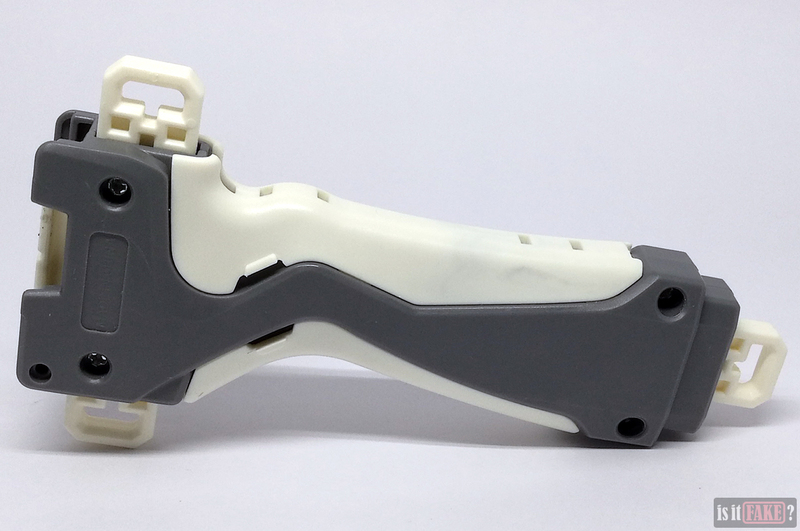 The Launcher and Grip also don’t fit well together, so you can only push the former halfway into the latter. 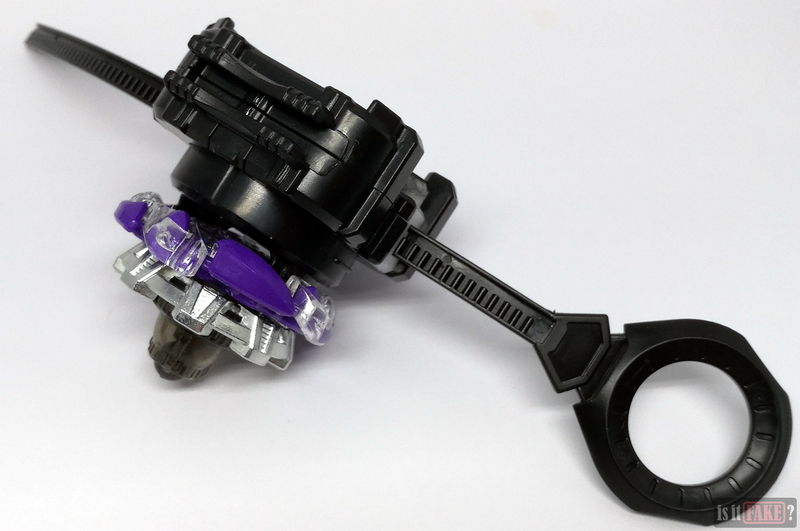 Before you can get the assembled Beyblade to spin, you have to fasten it to the Launcher. Unfortunately, those new to the toyline will once again suffer from the absence of an instruction sheet. 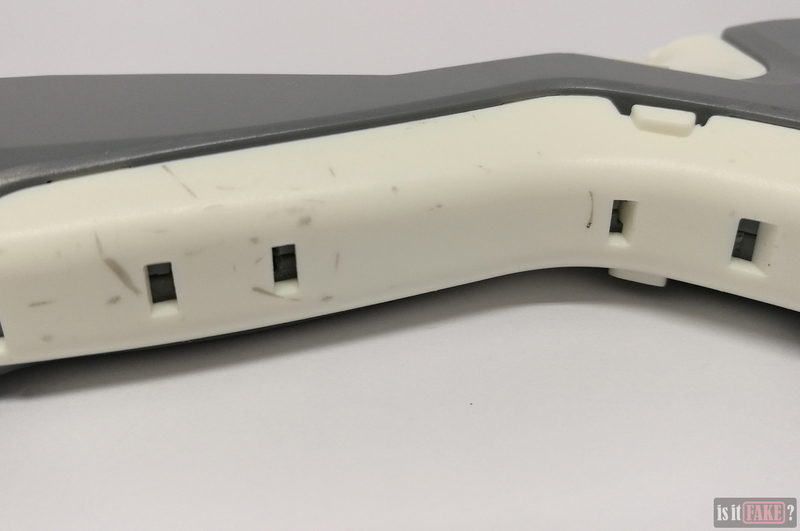 Basically, you need to feed the Rip Cord into the Launcher, then slip the rotator’s teeth into the grooves on the Energy Layer. 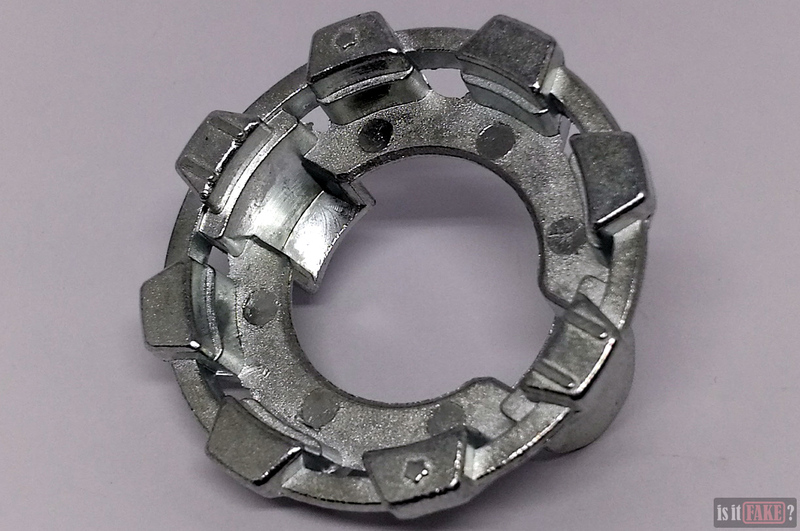 Then, holding the Rip Cord in place, you twist the Beyblade in one direction so that the teeth lock into the grooves. Once that’s done, you’re all set. 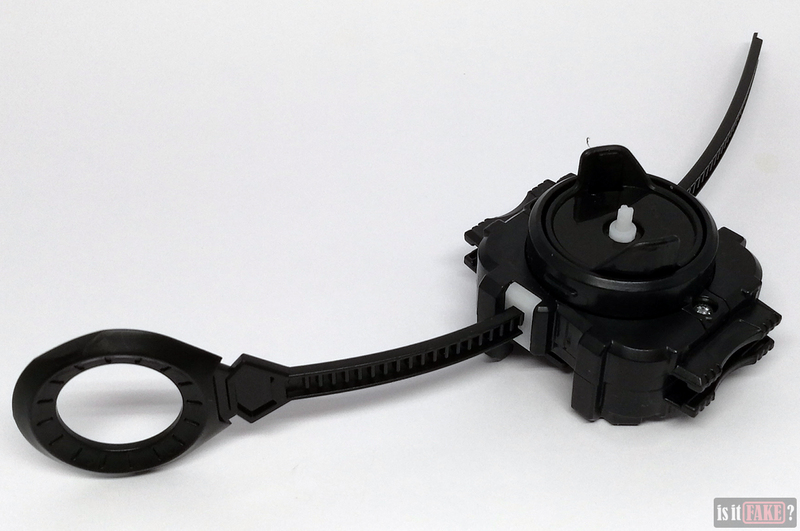 Position the Launcher and Beyblade over a firm surface, yank the Rip Cord out so that the Beyblade drops, and watch it spin. While the fake Wild Wyvern has no trouble spinning, it doesn’t wander around an area as much or as wildly as the original. If the fake does move, it doesn’t take long before it finds a spot to spin in place. Long story short, it just isn’t as exciting to play with as the official Wild Wyvern. 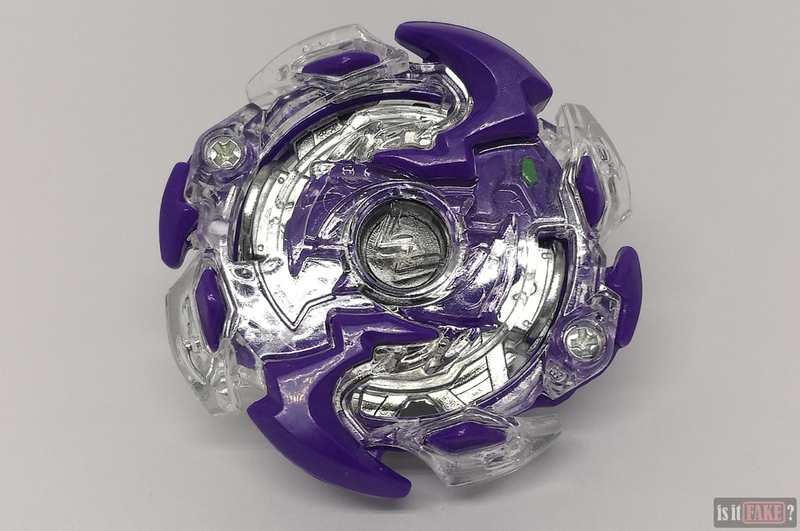 Real Beyblades aren’t that expensive; a pack that includes the top, a Rip Cord, and a Launcher usually costs between $10 and $15. The top alone costs only $8. 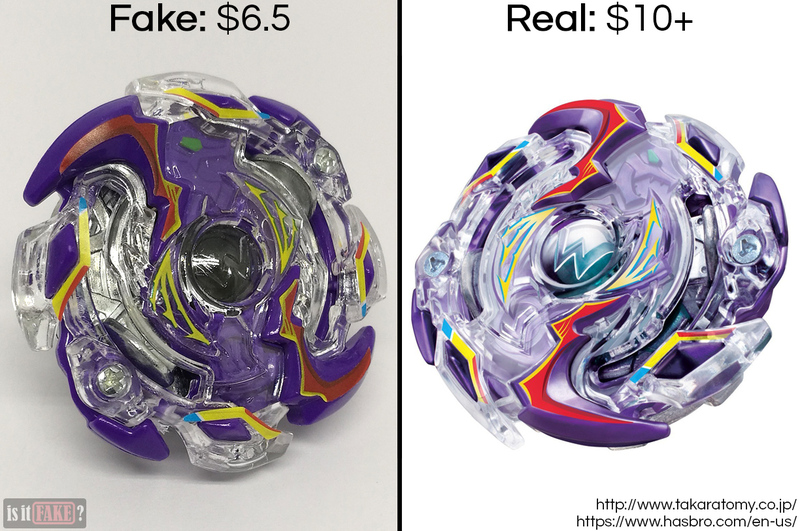 This is how legit Beyblade products are often priced; any cheaper, and you’re likely dealing with a fake. 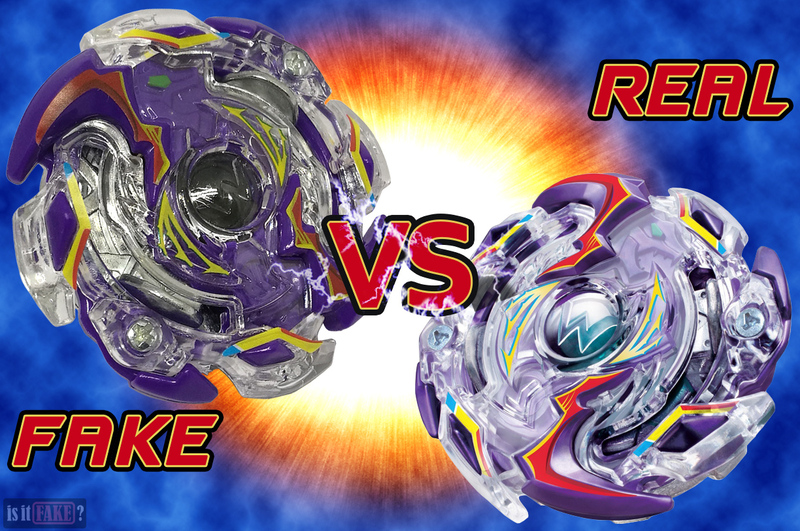 Aside from boasting the correct colors and spectacular performance, the official Beyblade won’t make you sick. 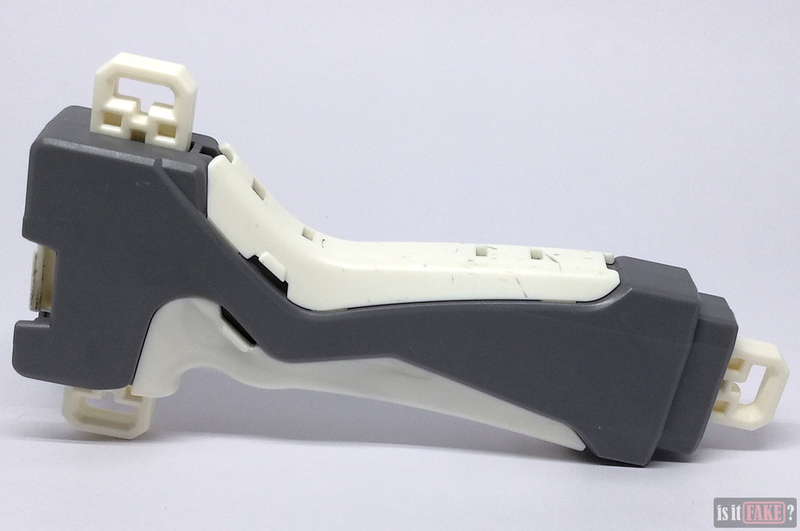 Fake plastic toys made in China, you see, are cheap for a reason: inexpensive yet toxic materials are used in their manufacture. 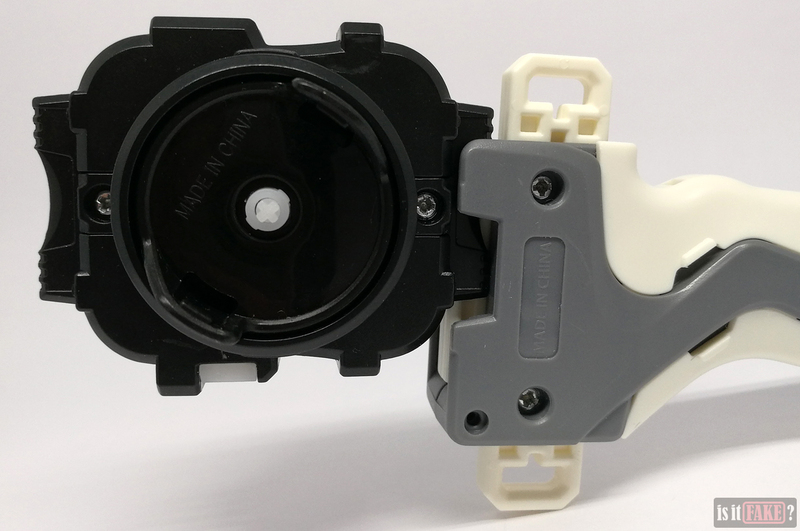 Cheap plastic is sometimes tainted with phthalates, which have been linked to problems such as hormone disruption and respiratory irritation, while its paint can contain heavy metals such as lead, which has been known to cause nerve tissue damage and even death. 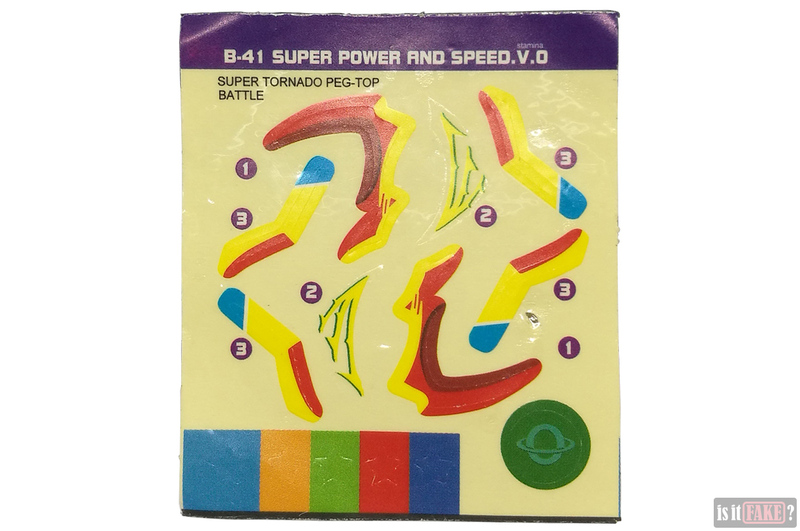 Chewing, sucking on, and swalloing such a toy is the fastest way to introduce those hazardous chemicals into the body, making fakes especially dangerous to kids. 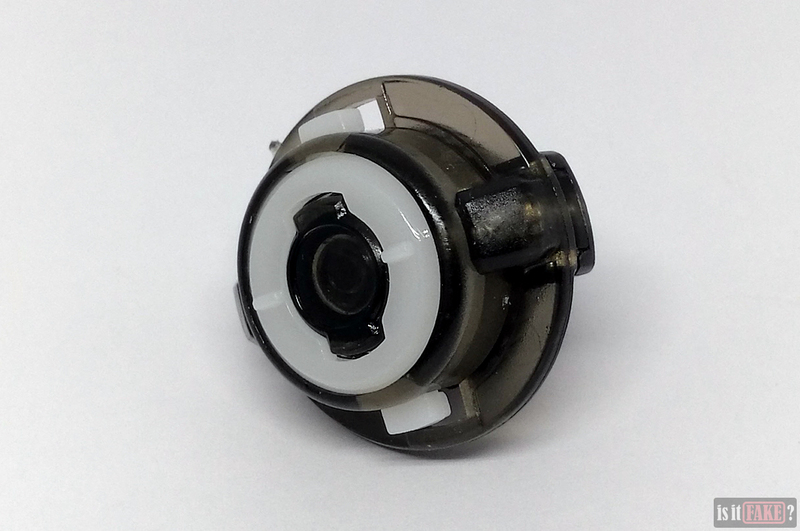 But cheap plastics can also release these harmful substances into the air as vapor. In other words, they can enter your body through inhalation. 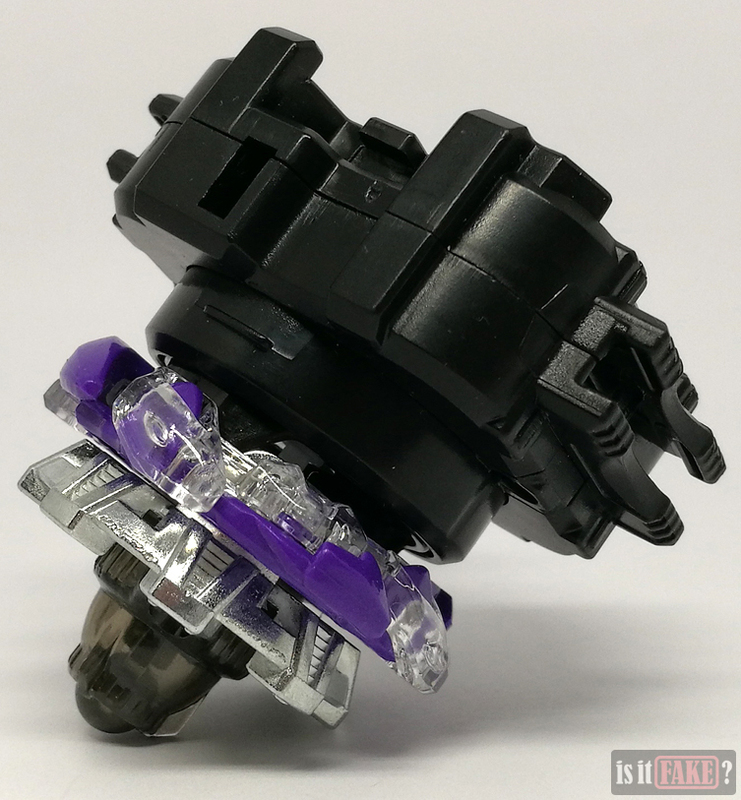 So, if you want to be completely safe, stick to toys made by trusted toy companies such as Takara Tomy and Hasbro. 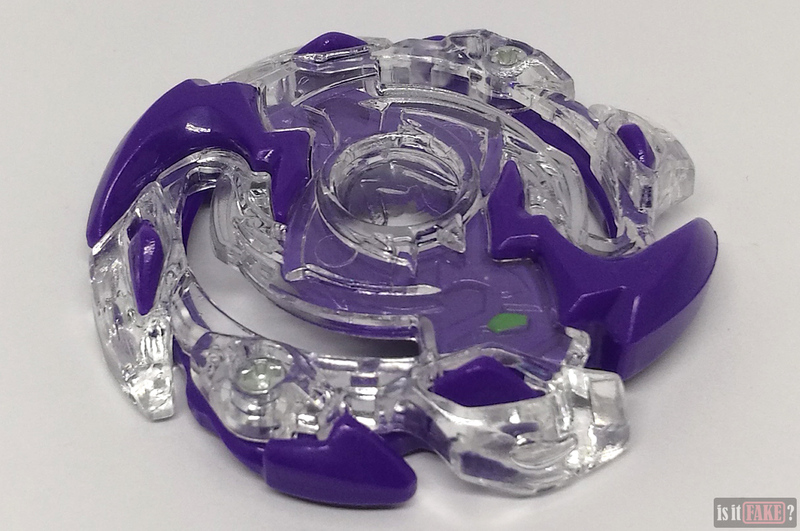 Check out Takara Tomy’s official Beyblade Burst B-41 Wild Wyvern V.O below. Often, the best places to go to buy officially licensed toys are the websites of their manufacturers and/or distributors. 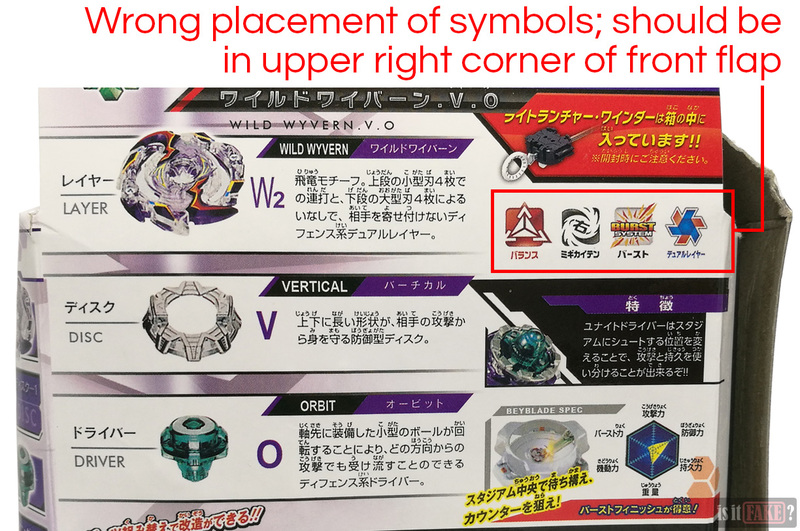 In the case of Beyblade Burst, that’s Takara Tomy or its North American license holder, Hasbro. Let’s start with the Hasbro. 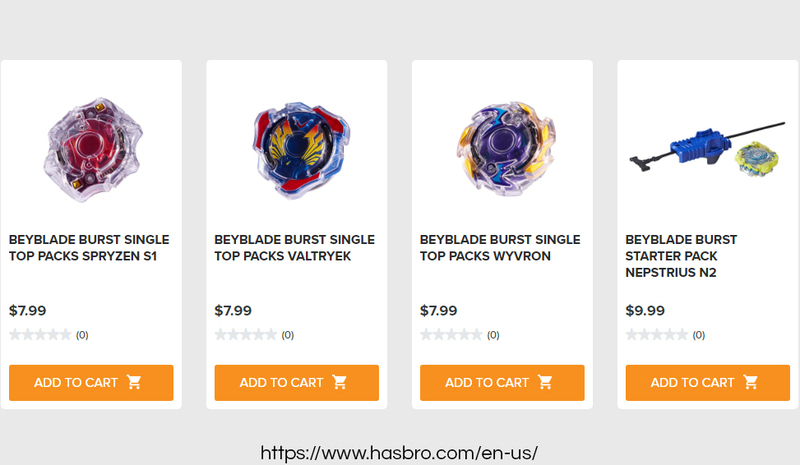 This world-renowned toy company boasts an online store with a section dedicated to Beyblade. 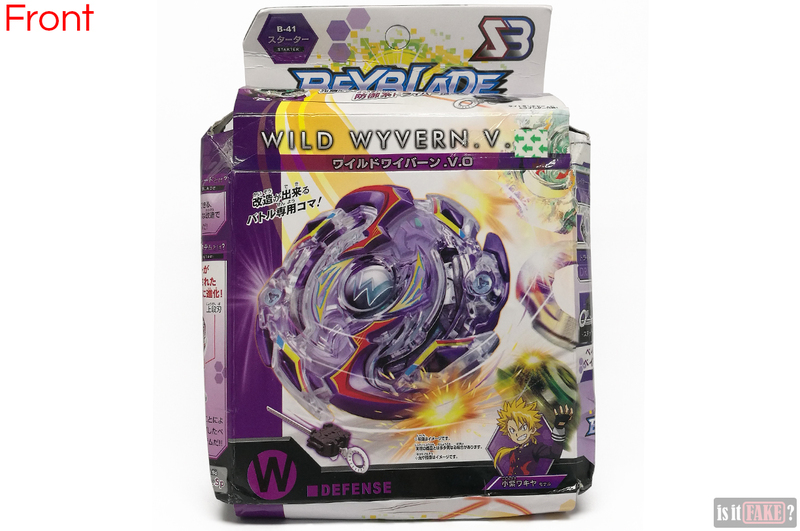 Sadly, being an older model, Beyblade Burst B-41 Wild Wyvern V.O is no longer available. 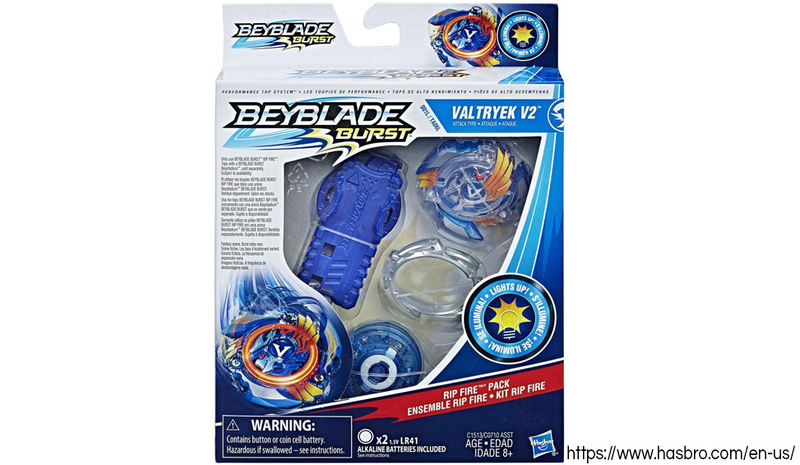 The good news is you have a bevy of other beautiful Beyblade products to choose from, such as this $15 Beyblade Burst Valtryek V2 pack. You can even purchase Beystadiums, battle sets, 2-packs, and spinners from this store. 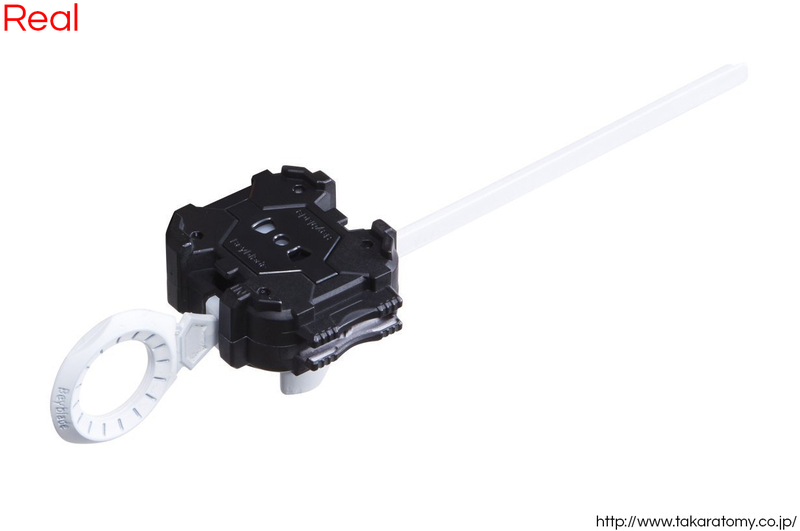 If you want the toy straight from its original creator, go to Takara Tomy’s online store. 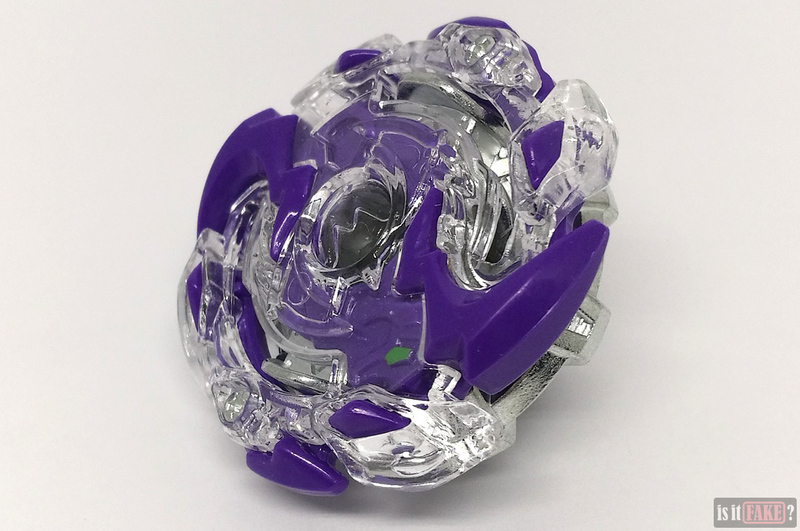 This website also has a section all about Beyblades. Just make sure you have a translator app, such as Google Translate, to convert all that Japanese to English. 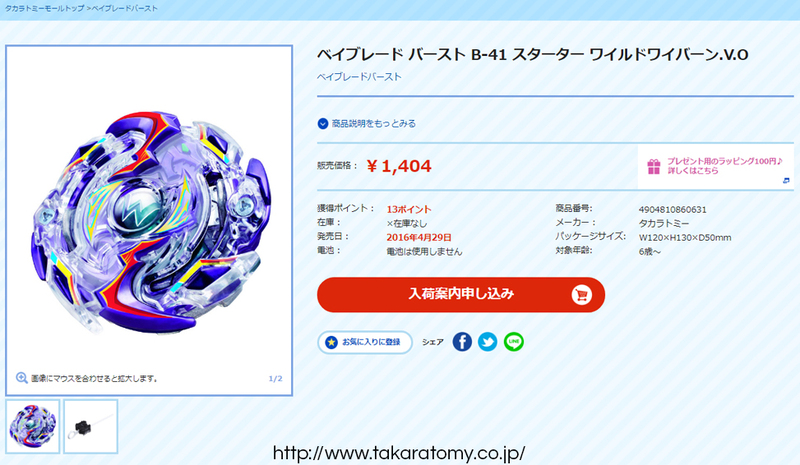 While Beyblade Burst B-41 Wild Wyvern V.O is listed in the Takara Tomy catalog, it’s already out of stock. You can, however, add the item to your favorites, so the site notifies you when it becomes available. 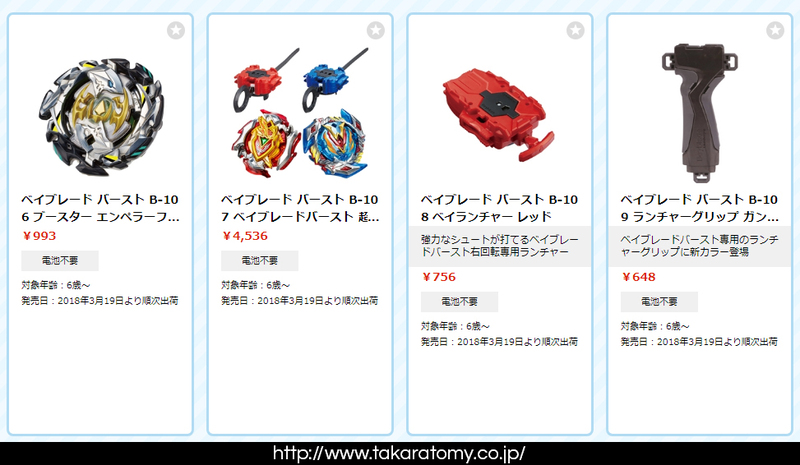 And, like the Hasbro store, the Takara Tomy online shop also offers a wide range of Beyblades for sale. Product prices are similar to those in the Hasbro store. 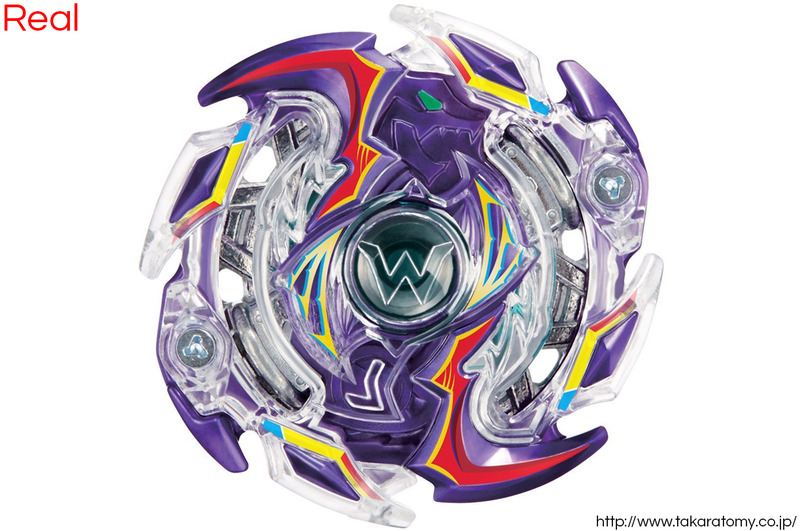 Using this method, we were able to find two products being sold by Amazon: this Beyblade Burst Starter Pack Evipero, and this Beyblade Burst Wyvron W2 and Odax 02 Dual Pack. 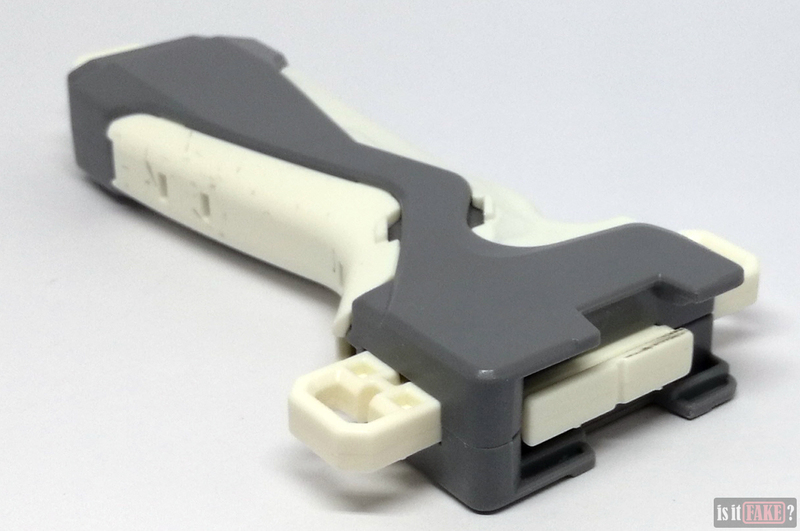 While there are a number of trustworthy third-party sellers who respect their customers and the industry enough to sell you only legit products, many more won’t hesitate to trick you into buying bootlegs. So if you want to avoid such problems, stick to the Amazon store, or do a mountain of research on the third-party seller in question before trading with them. 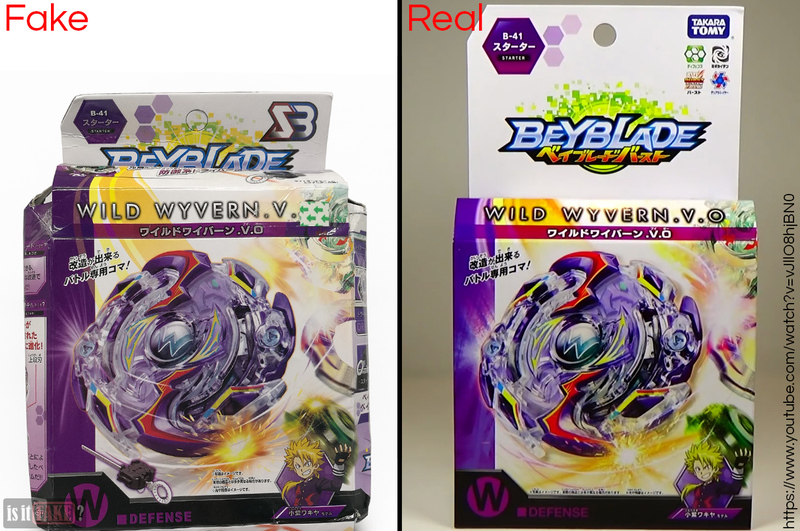 Its severely dilapidated packaging is only the beginning of everything that’s wrong with this fake Beyblade Burst B-41 Wild Wyvern V.O. 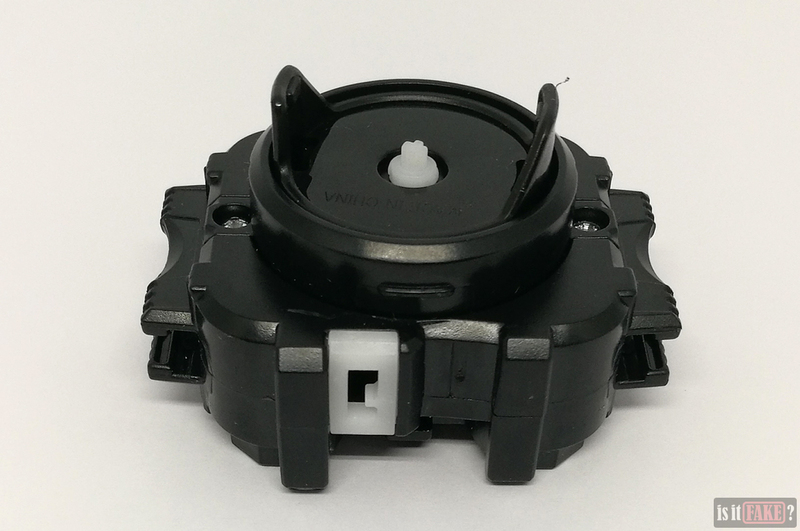 A majority of its components are the wrong color, lacking the flashiness of the real model’s. Worse, the top itself doesn’t function as expected. The Grip is fairly useless, and is dirty, to boot. 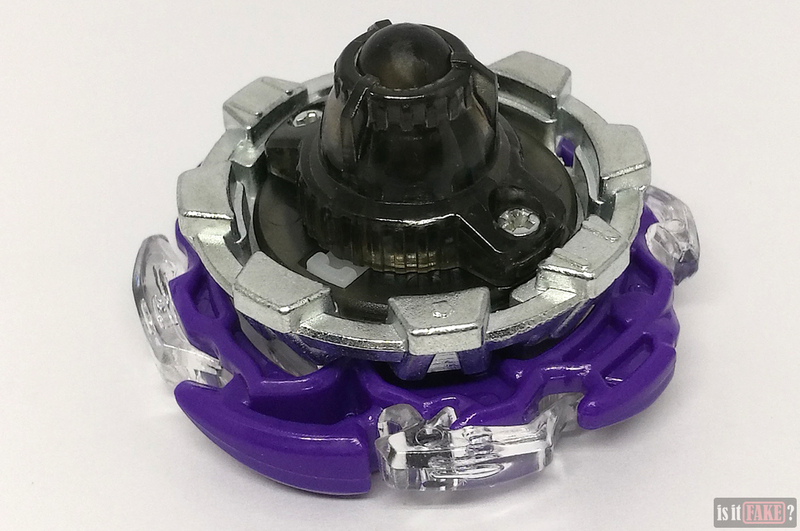 Last but not least, the bootleg doesn’t come with instructions, so that newcomers will have a tough time assembling the Beyblade. As such, this bootleg is deserving of no less than a 60% terrible rating. 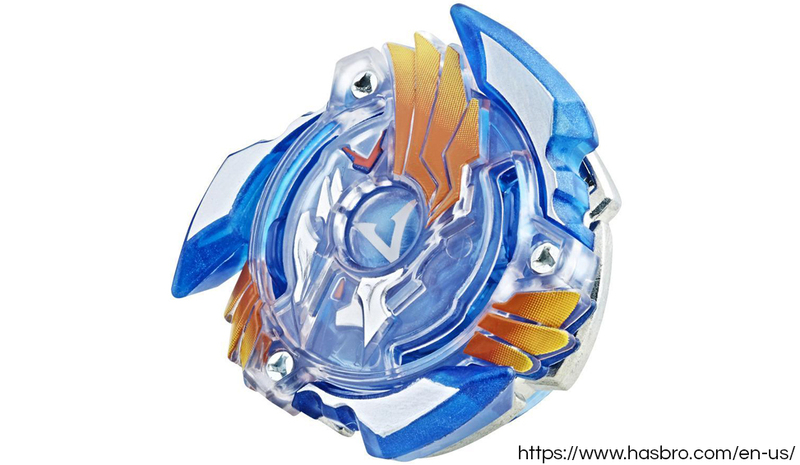 May I ask a question, I am in the UK and I find it hard to find any official Beyblades but when I do even used bashed ones are £20 each with new ones priced at £30 plus. 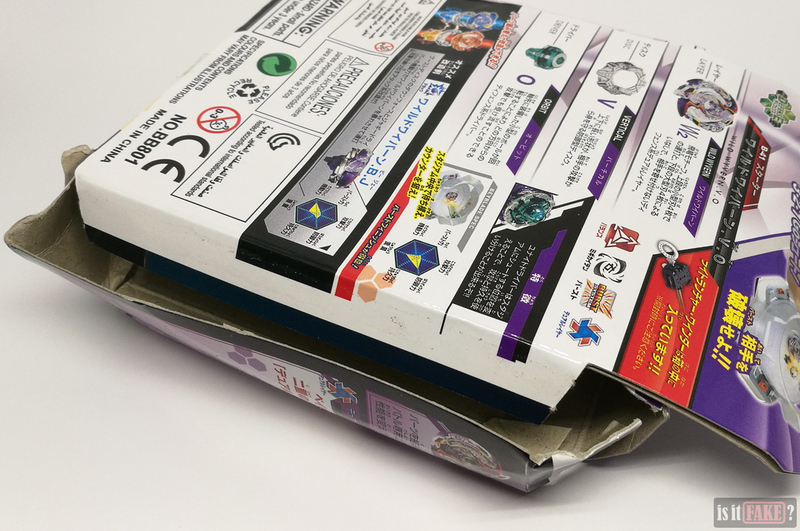 Do you have any experience ordering from the Takara Tomy website to a country other than Japan? If I order will the send the item ok, do you have import fees? Is there a specific Beyblade that you’re looking for? 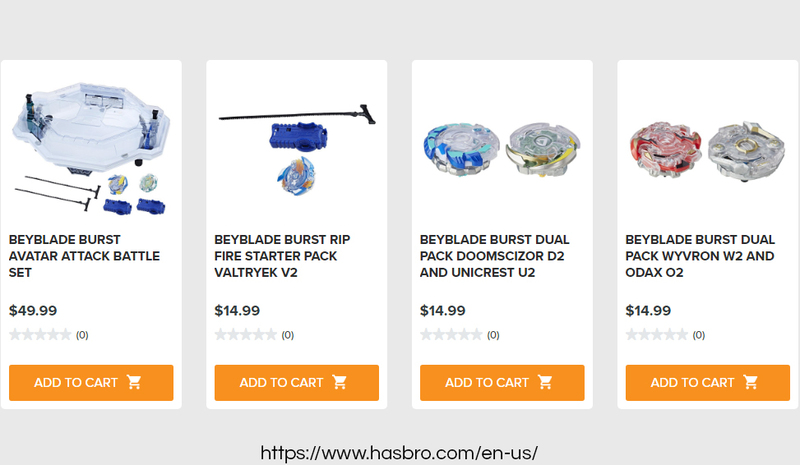 Since Beyblades come in different version, they also vary in prices. 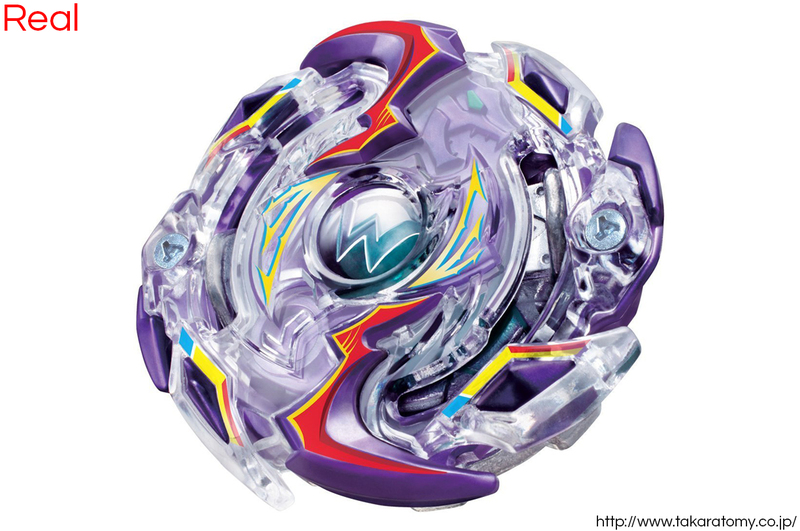 You may also be looking at Beyblade sets which is £30 or higher. 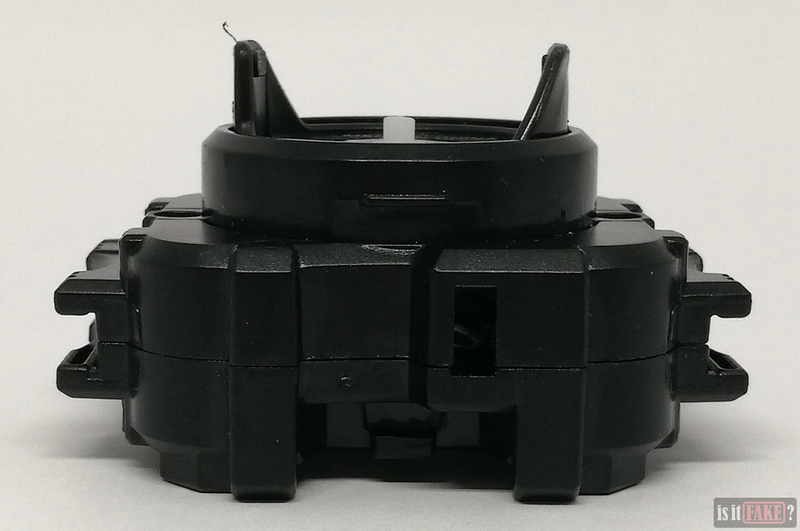 Hasbro supplies most of the Beyblade toys outside Japan. 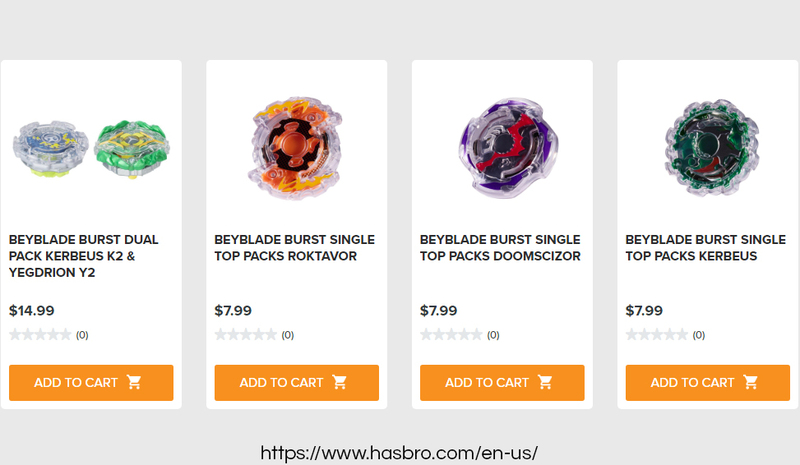 You can rely on Hasbro’s information page on where you can buy Beyblades locally as we believe it’s cheaper and more practical. Hope this helps!